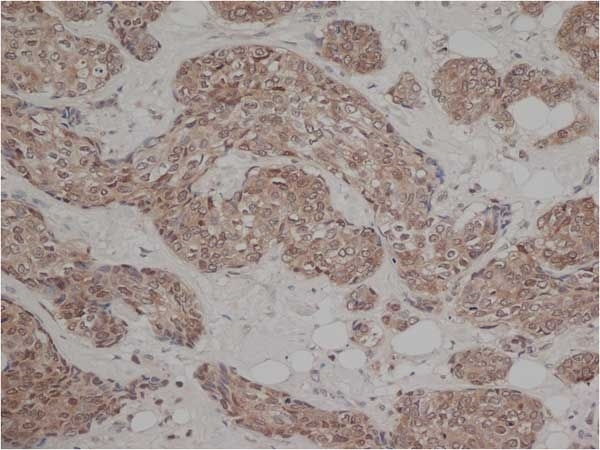 Bio-Rad HISTAR Detection System reagents are designed specifically to replace complex immunohistochemical techniques with a simple kit. 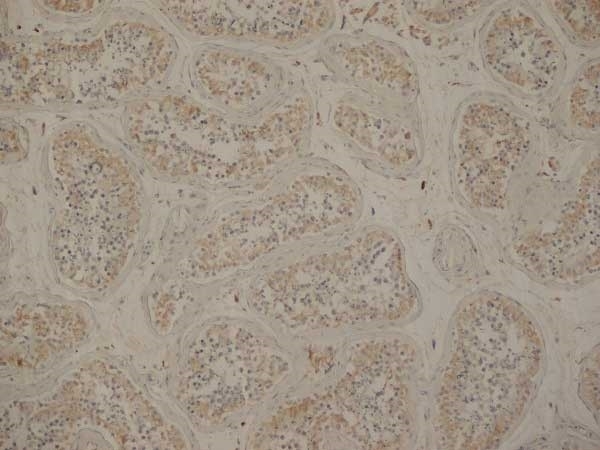 This kit provides linking and labeling reagents intended for use with species specific primary antibodies for visualizing cellular antigens in tissue specimens. Visualization is accomplished using an ultra-sensitive indirect labeling method that utilizes novel polymer labeling technology. 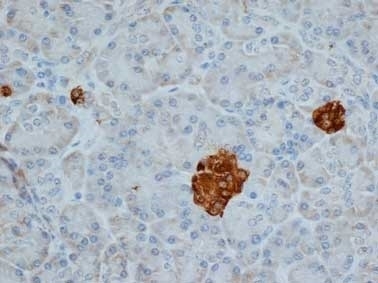 Secondary antibodies are polymerized directly with Horseradish peroxidase (HRP) into compact polymers bearing a high ratio of enzyme to antibody. This biotin-free system offers enhanced sensitivity and minimal background staining. 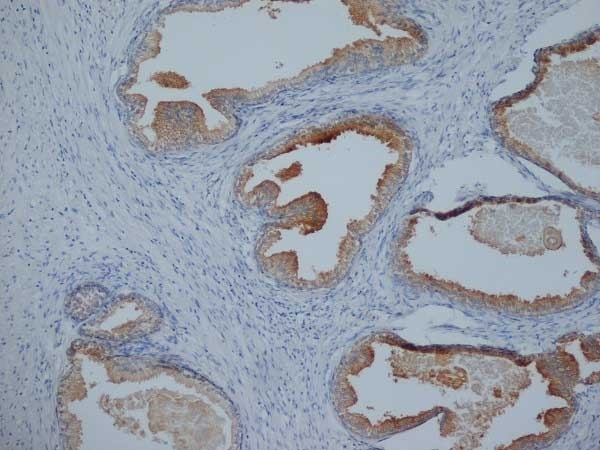 The HISTAR Detection System is designed for the staining of Human tissue sections. 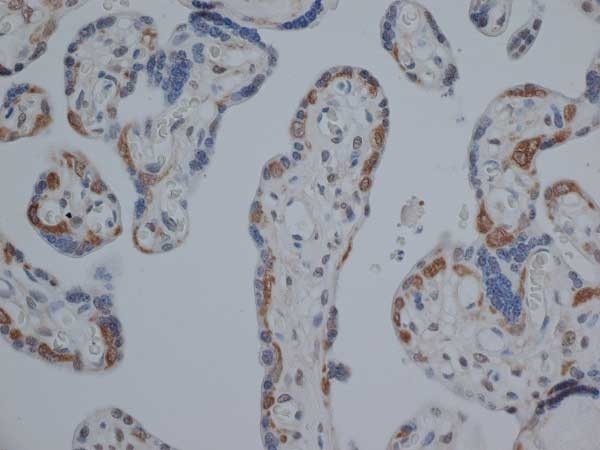 This kit is suitable for use with mouse and rabbit primary antibodies only. 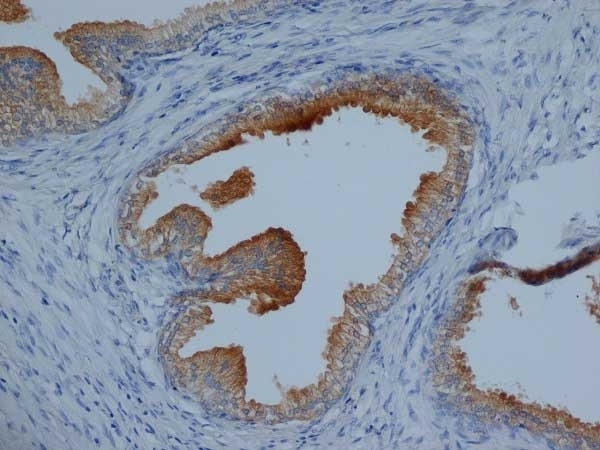 1) Prepare tissue sections appropriately according to the requirements of the primary antibody being used e.g. apply antigen retrieval if necessary. 2) Incubate paraffin-embedded sections with peroxide blocking reagent for 15 minutes at room temperature. Rinse with Phosphate Buffered Saline (PBS). 3) Apply serum block and incubate for 15 minutes. 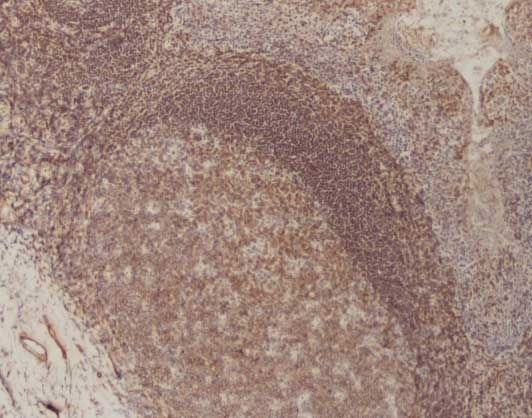 4) Apply primary antibody and incubate for 30 minutes. 5) Apply reagent boost and incubate for 20 minutes. Rinse twice with PBS (5 minutes per wash). 6) Apply HRP polymer for 30 minutes, then rinse twice with PBS (5 minutes per wash). 7) Apply DAB substrate solution for 3-5 minutes, then rinse with distilled water. 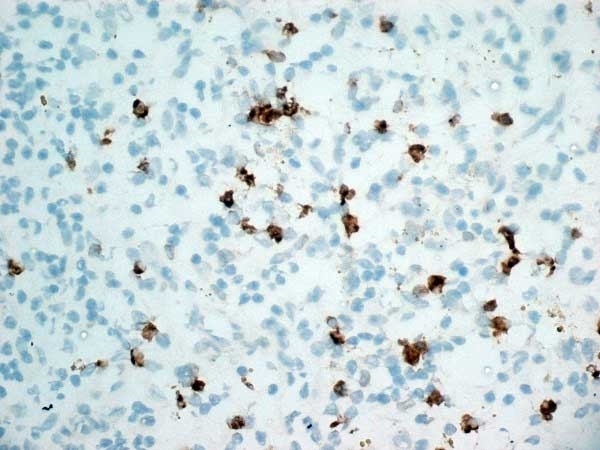 8) Counterstain and mount slides using an aqueous mounting medium such as BUF058A. Bio-Rad can supply a number of these products separately, please see the ‘Recommended Useful Reagents’ section. Nishimoto, K. et al. (2010) Association of EMCN with Susceptibility to Rheumatoid Arthritis in a Japanese Population. Dedrick, G.S. et al. 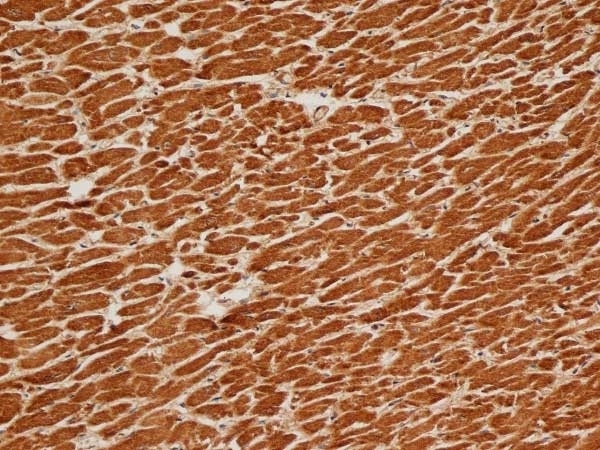 (2011) Immunohistochemical study of human costotransverse joints: A preliminary investigation. Clin Anat. 24 (6): 741-7. Alexopoulou, Z. et al. (2016) Deubiquitinase Usp8 regulates α-synuclein clearance and modifies its toxicity in Lewy body disease.